All American DJ Classics is a professional, interactive, Disc Jockey/Entertainment Company which not only supplys great dance, rock and roll, country, polka, waltz, and party music --(you can choose!) 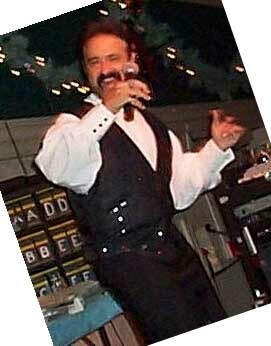 -- but also provides a seasoned, professional singer/entertainer for any occasion or event. All DJ Packages include sound systems and light systems designed and tailored to your particular event and sized to meet the requirements of the location whether indoors, outside, large or small. DJ packages are great for Weddings, Corporate Partys and Picnics, Reunions, Dances, Festivals, and many other gatherings. "Need more than just a DJ?" Check out the Rock 'N Roll 'N Remember Live Rock Show! Don't wait!! Reserve your Event Date now! !